Product prices and availability are accurate as of 2019-04-18 13:19:51 UTC and are subject to change. Any price and availability information displayed on http://www.amazon.com/ at the time of purchase will apply to the purchase of this product. 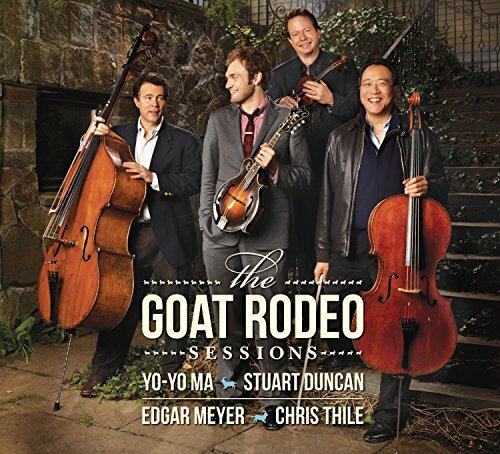 The Goat Rodeo Sessions is an ambitious and groundbreaking project that brings together four string virtuosos: world-renowned cellist Yo-Yo Ma, fiddler Stuart Duncan, bassist Edgar Meyer and mandolinist Chris Thile. While each artist is a prominent figure in his own music sphere, they have come together as a unified ensemble on a most remarkable and organic cross-genre project. The music, including two tracks with female vocalist Aoife O'Donovan, feels both new and familiar it's composed and improvised, uptown and down home, funky and pastoral and above all, uniquely American.